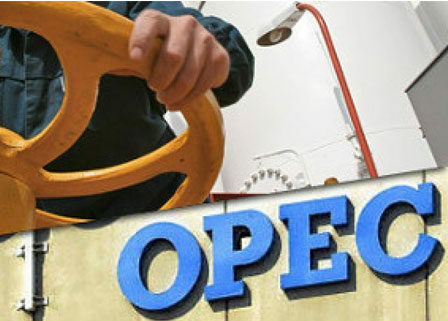 Some of the most prominent crude oil producing nations gathered today, Monday 7/24 in St. Petersburg, Russia to discuss the extension of the Organization of Petroleum Exporting Countries (OPEC) production cap. News broke that the production cap could extend beyond next year’s first quarter if prices continue to remain volatile. Beginning on July 1st, 2017 OPEC agreed to put a cap on production, excluding some of their member countries like Nigeria. The production cap agreement did have an impact on the overall health of the oil market, however, the six-month agreement didn’t bring prices back to where many oil producers had wished. These latest developments have caused oil to rally on Monday. September West Texas Intermediate crude CLU7 rose 1.25% and September Brent crude LCOU7 saw a gain of 1.14% . The world’s largest producers of crude oil, Saudi Arabia could be the primary cause of the recent rally. They agreed to limit exports to 6.6 million barrels a day. At first, Saudi Arabia was extremely opposed to any kind of production cap however it seems as though they’ve had a tremendous change of heart. Another breakthrough from Monday’s OPEC meeting was that Nigeria, previously omitted from the original agreement, would be willing to take part in the extension. If Nigerian oil production reaches 1.8 million barrels a day, they will cap themselves at that level. Feelings surrounding the OPEC meeting varied. Some felt as though it was productive, others were left feeling a bit let down that more wasn’t done to correct the oil glut. However many agreed that Nigeria’s willingness to take part was the most startling development. The oil industry is one the manufacturing industry must keep an eye on. When things are going well, it leads many oil companies to invest in new operations which call for a plethora of industrial equipment. A booming oil industry often times creates a thriving industrial environment where manufacturers can benefit. If oil prices struggle, these installations shut down and dampen demand for the manufacturers responsible for developing oil drilling and exploratory equipment. Be sure to check back on MFGTalkRadio.com for the latest updates and developments surrounding the manufacturing industry. Stay up-to-date on the latest geopolitical happenings to see what impact they will have on the future of manufacturing.